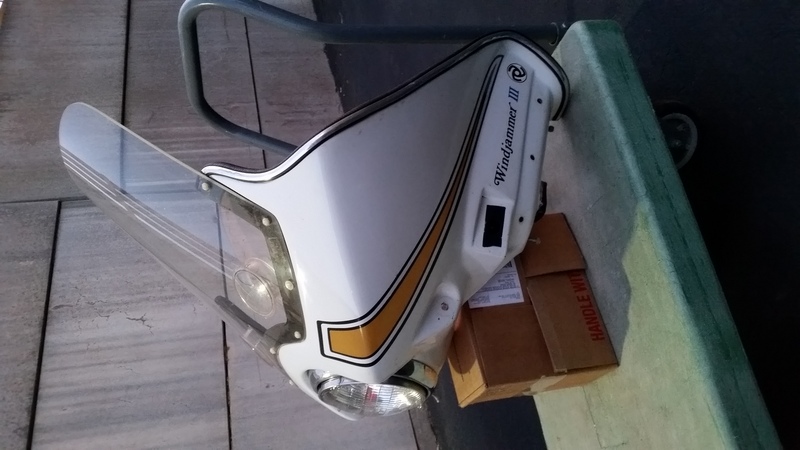 Just found a Craigslist add for a box of Windjammer windshields. 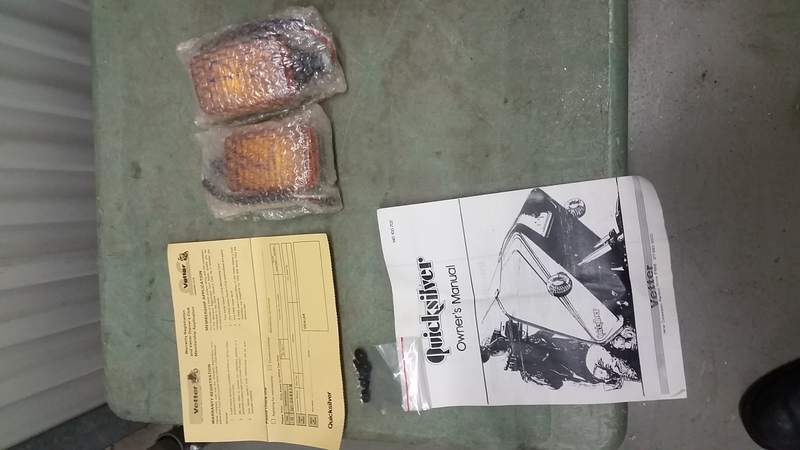 I called and $30 for a dozen or so windshields, some snap vents, pocket covers, keys, and more. 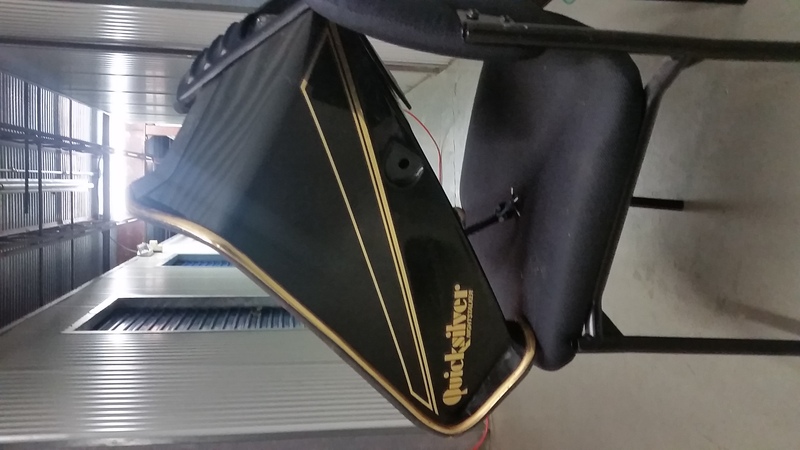 He's also got a Quicksilver with a few different mounts also for $30. 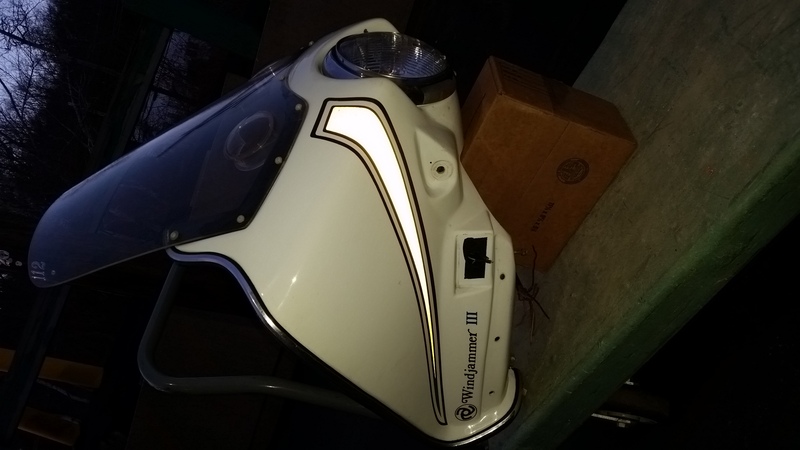 He said something about introducing me to a buddy of his who owns some type of junkyard in the area, apparently its the motherload of used Windjammers and parts, I'll believe it when I see it, I thought I knew all of the decent junkyards with bike parts around here. I've just spent a fruitless half hour searching for headlight size for a quicksilver, does anyone know? 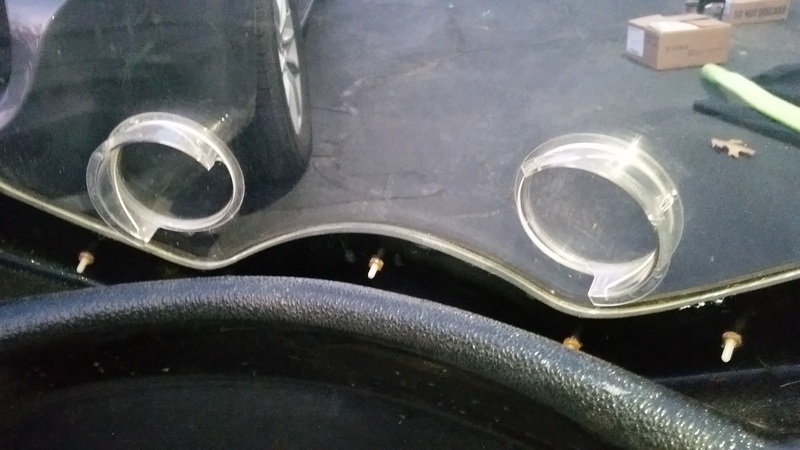 I wonder if anyone has ever tried to put in a round headlight? Many have snap vent holes. 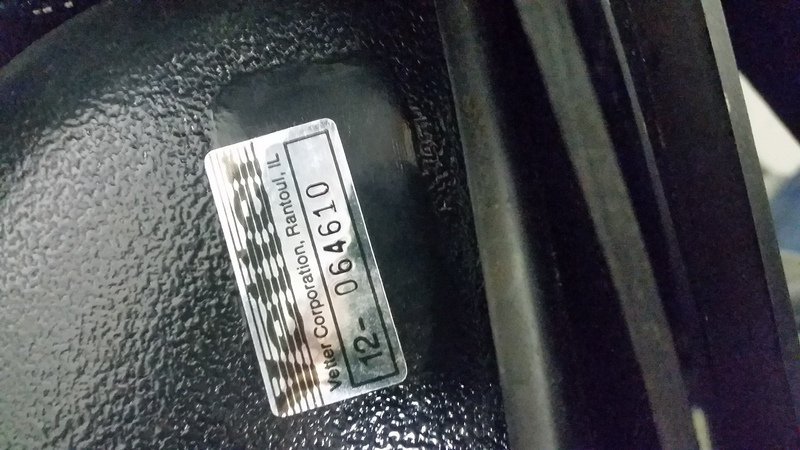 Yamaha part number ACC-11140-00-06. Should properly fit the earliest (1981 I think) Yamaha XS 1100 Venture models with factory fairing, as well as Pacifico Classic frame mounted fairings of the era. Should be equivalent to Slipstreamer S-180 (tall, with pop vents included). 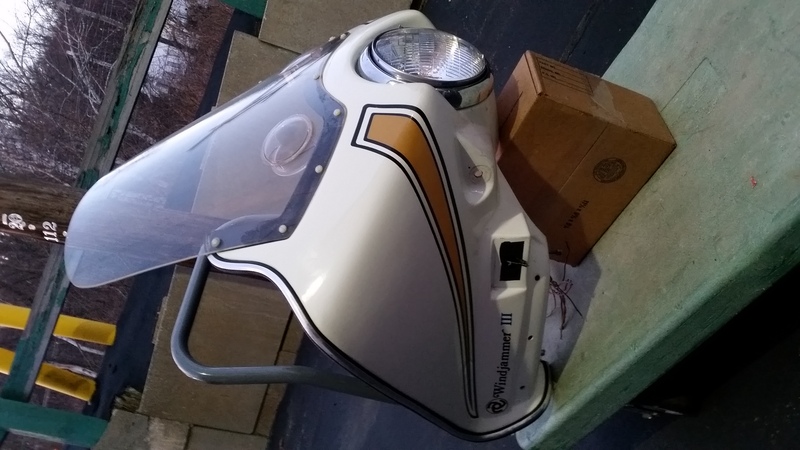 No windshield, bottom of fairing looks like it was never mounted. but no yellowing. Most have wire handles. 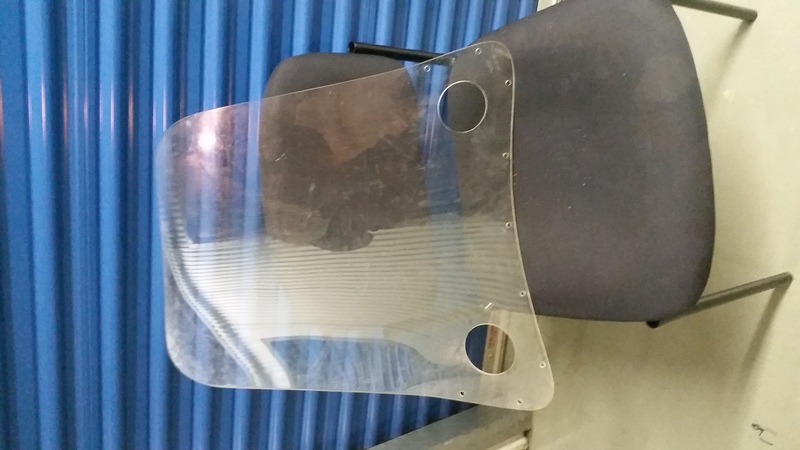 with no windshield will need to measure for identification. FM-2 is 28 1/4" wide & 22 1/6" high FM-3 is 25" wide & 21" high. 2 shields in fair shape some scratches with 4 slots at bottom, one has tinted side extensions. GL1100 or GL1200 maybe? 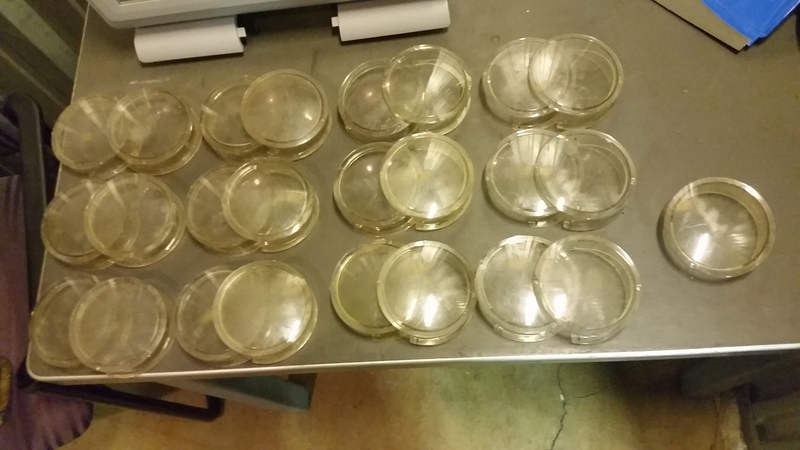 And 5 smaller shields I have yet to identify. 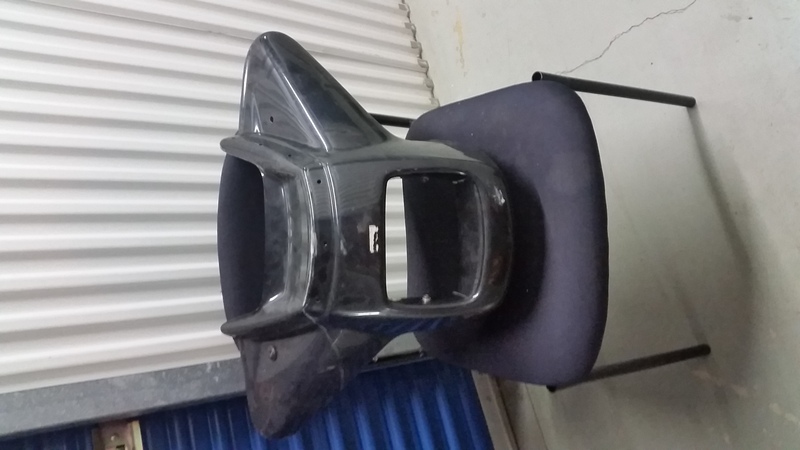 The Shoei fairing is an FM-2 measuring 28-1/4" wide. Yesterday I picked up a white WJ3 from a man who got it in an estate sale. 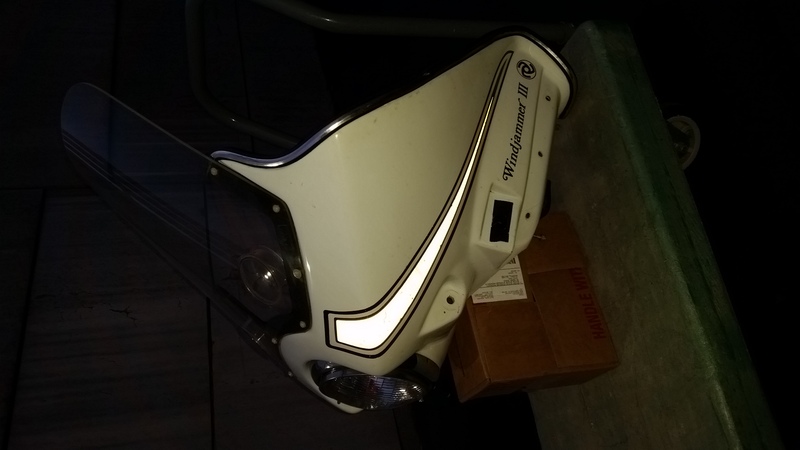 Its in remarkably good condition, still has its cigarette lighter, pocket covers haven't shrunk, it has white nylon windshield screws and nuts (no clips) the windshield is even in nice shape. 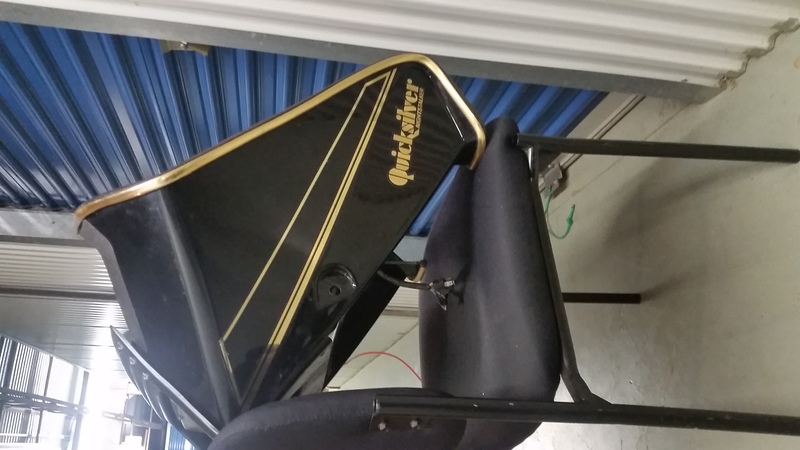 The story was that it was on a garage queen only for a year or two then was stored with a sheet over it in a dry attic until last fall. 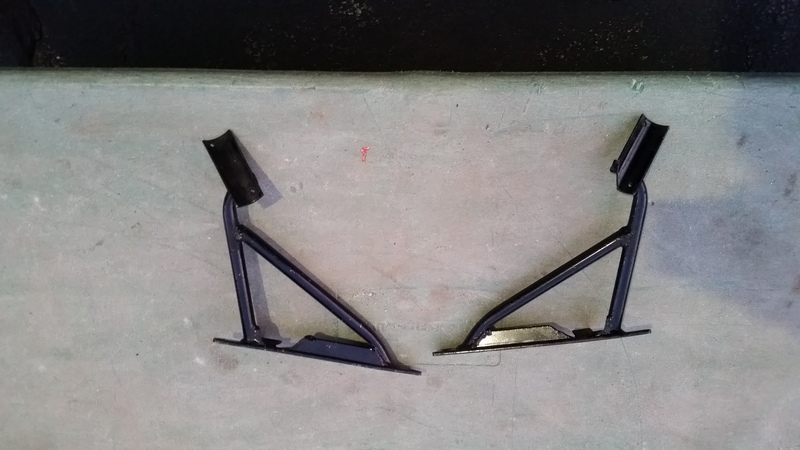 It came with a mount I couldn't identify, this mount was in 2 pieces, no cross bars, but is built with the same hairpin bend round bar and frame saddles as all other early mounts did. I'll get some photos up when I can, this one will go on an upcoming CB250 Nighthawk project with a CB400T front end, 19" spoked front wheel and 7" TLS drum. No windshield clips yet but I'll get some. 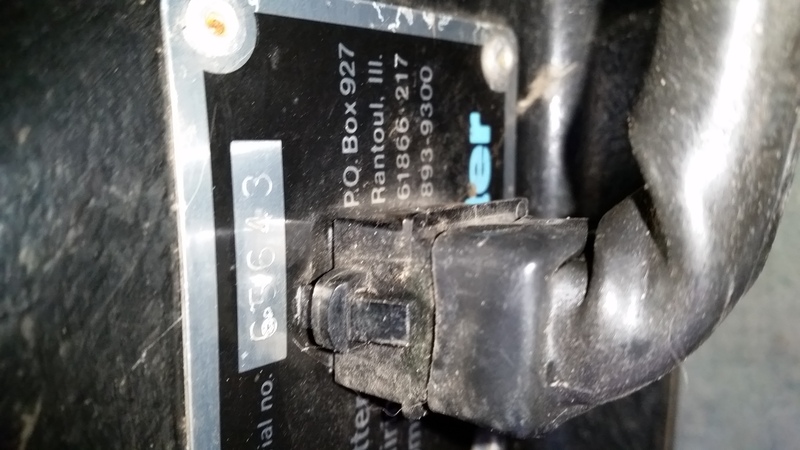 Is it ok to use a shield that has screw holes with clips? This old shield is still in great shape, no issues that won't clean up and the pop-vents are in great shape with no sign of yellowing. Those early stripes glow white with headlights or in this case a camera flash. 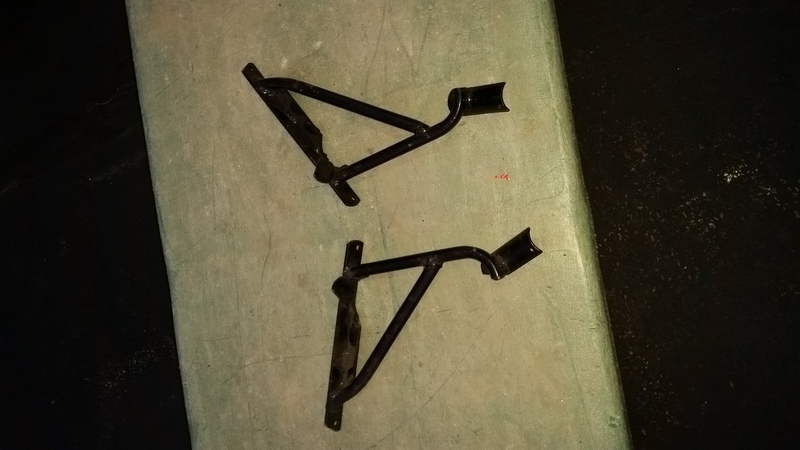 These are the brackets that came with it, does anyone have any idea what they fit?